Getting an audio that resonates with your audience is the most important thing when creating a webinar, video, podcast, or radio advertisement, you need to get audio that will resonate with your audience. Sound triggers emotion on a much more direct level than even visual cues, so poor audio can turn away your audience on a very visceral level. Despite its emotional resonance, too many businesses neglect audio and focus entirely on the visual aspects of their marketing, leaving money (and customers) on the table. Here are a few tips for how to market effectively through audio and connect with your customers. The crispness of your audio sends a message to customers. Audio that is muffled or distorted immediately gives the impression that you do not provide quality in any aspect of your business. The gap between poor sounding audio and professional sounding audio is really not that large. If you’re getting audio from another source, such as a voiceover artist, make certain you research the person thoroughly and see samples of their work before hiring them. If you provide the audio yourself, invest in professional equipment and make sure someone with audio experience does the recording to ensure there are no distortions. No matter how great your audio content is, it will grow stale if there’s only one voice the whole time. Bringing in someone from outside your company for your audio marketing can really make your message resonate with customers. Customer testimonials are one great method of audio marketing that require little effort on your part. Businesses often use written testimonials, but audio is much more powerful. It adds trust and realism instead of a flat, written paragraph in quotations. Interviews with experts in your industry can also be an effective and interesting tool for marketing your product. Potential customers will have an initial inclination to doubt any claims you make about your own product, but an outside expert will have much greater authority. People have short attention spans, and they are only getting shorter. (Sorry, kids.) Keep your audio short, 2-3 minutes at most. Resist the urge to put every single detail about your product in there. That’s not what audio marketing is for. You’re trying to capture the listener’s attention, not educate them about every aspect of your company. 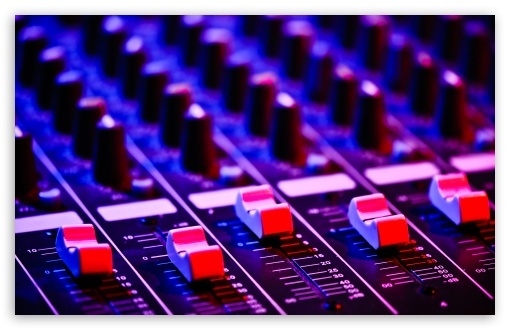 At its best, audio can become a part of your brand along with any visual aspects. Whether it is music or a slogan, catchy and interesting audio can provide another cue for customers to recognize your business. The most important part is to make sure your audio branding meshes with your visual branding. Look around to see what companies with similar brands are using for their audio to see what cues customers are responding to. This one is simple. No matter how good your audio marketing is, it will not make any difference if no one hears it. Social media is a great way to get your message out there. If you’ve got great audio content, share it with your followers. Add a quote from the audio along with the link to give them a preview of what’s coming up. If you do have a customer or an expert lending their voice, tag them in your post and encourage them to share it with their followers. Do everything you can to make your audio available and easy to find for potential customers. Ideally, you want to have any content available in any medium your customer might want.Written content and audio content can always cross over. If you have a blog, it is easy to record a short audio summary for people who might not want to read the whole thing. If you have an audio clip, a written transcript can make your content accessible for people who might not be in a position to play audio from their computer. Try to cover multiple channels. Everything customers hear when interacting with your business is part of your marketing. That includes webinars and radio commercials, but also any audio on your website and even the hold music for your customer service. If you can create a unified auditory experience for your customers, you can create a much more powerful emotional connection to your brand. Think hard about the cues your audio sends at any point. If your webinars take a serious, professional tone, but you also have interviews that are more playful and relaxed, customers are going to get confused as to how to think about your company. Remember: every moment of audio takes on an amplified importance. People might read over a typo here or there, but audio mistakes stand out clear as day. Since audio has a higher emotional resonance, you need to be extremely careful and precise about making sure that every moment conveys the correct tone and message.